ULSTER Bank has admitted another embarrassing financial crisis after it emerged that it could not pay staff wages for more than two days. A spokeswoman for Ulster Bank has confirmed to The Detail that there was a 48 hour delay in paying the monthly wages of more than 2,000 bank employees at the weekend due to “a delay in processing payments”. “There was an issue on Friday but all salaries were paid yesterday (Sunday) afternoon,” the spokeswoman said. “It was just the Northern Ireland salaries and the problem was discovered on Friday afternoon. We made cash available to staff over the weekend, through different arrangements and then all salaries were paid yesterday (Sunday). Bank employees told The Detail that they had initially been informed that they would not be paid until Wednesday. The delay in paying its 2,000 Northern Ireland staff comes less than a week after Ulster Bank was forced to admit that it had suffered another IT problem which led to thousands of its customers being unable to access online banking, make card payments or withdraw cash for two hours on Wednesday March 8. The computer problems also affected Ulster Bank’s sister institutions, RBS and NatWest. In February Ulster Bank announced loses of £1.3bn for 2012. In June 2012 Ulster Bank suffered its biggest public relations disaster following another computer malfunction which led to 600,000 Irish customers being unable to use online services for nearly one month. The bank was later forced to pay out £18m in compensation. This incident led to Ulster Bank chief Jim Brown giving up his 2012 annual bonus. In February this year 1,300 Ulster Bank mortgage holders were asked to repay (EURO) 41m after it emerged they had been under-charged in repayments over a number of years. In December 2012 Ulster Bank had to reimburse customers in the Republic after it emerged they had only given them 25% – and not the recommended 30% – of a mortgage interest relief that had been announced in the FG/Labour 2011 budget. 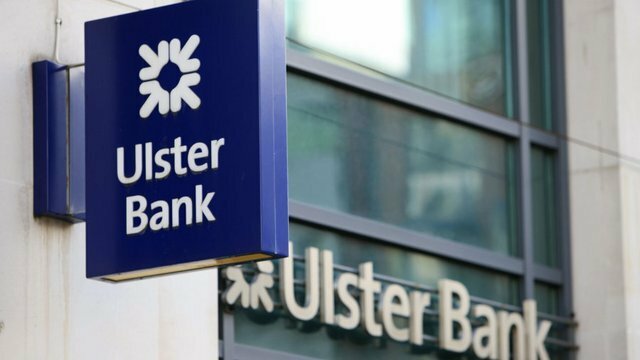 Ulster Bank blamed software problems for the mistake.